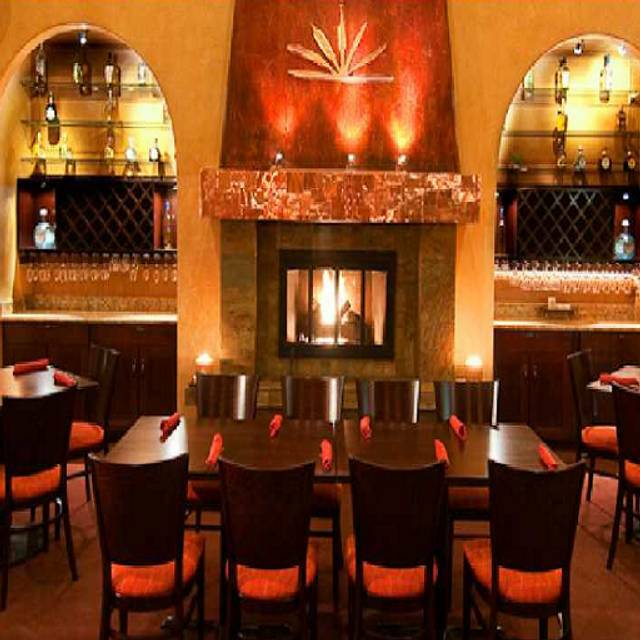 You must make reservations at least 5 minutes in advance of the time at Red Agave Tequileria + Cocina + Calaca Bar. West side of 28th St. in front of a large parking lot. In addition we also has underground parking. RTD bus stop located in front of the restaurant as well as across the street on the corner of Valmont and 28th St. Experience Mexico’s traditional culinary excellence, with a touch of modern, high energy, casual fine dinning. Red Agave prepares its dishes with the upmost care, to preserve the original and authentic taste from the Mexican region they originated from. All ingredients are hand selected by Red Agave’s chefs, and only the best and the most fresh make it to it’s scratch kitchen. All though the menu is ample and full of great dish selections, Red Agave’s chefs will cater to dish requests not on the menu. Servers perform table side food presentations, fresh tasty guacamole to awesome queso flameado (cheese flame). Most food creations are gluten free, chefs are always willing to accommodate dietary restrictions. Gluten free and vegetarian options are available through-out the menu. and much more including guacamole, nachos, empanadas, queso fundido, sangria, wine, draft beer. Upscale food with good margaritas. Try the house marg: distinctive flavor and deliciously sweet/sour mix. Great service every time. We love the salsa trio and Verdes enchiladas. And the food came to our table cold. It was barely warm. We probably will not return. Good authentic Mexican dishes. Excellent service!! Loved our meal and drinks. Our server was awesome too. We will definitely be going back again. The only negatives were that (1) it took awhile for our party to get water refills & it wasn't even a busy night for the restaurant, and (2) our server took every opportunity to try to sell us other menu & drink items. That hard sell tactic really brings down the class of a restaurant! Great food - very much a "high end" Mexican restaurant. The service was very attentive but the food was slow to arrive at our table - not due to the service staff. I recommend this restaurant. Place is always good this but this time we waited 25 mins to be seated even with the reservation. 4 star because no host told us what the reason was for the wait. Service was slow but good. Food is always good. Great service! J.T. has the best attitude and he is very entertaining. The best tofu fajitas I've ever had. This place is a vegan's dream. Loved it. Service could not have been more attentive. Food was fantastic! Very wide selection. The most I’ve seen it’s Mexican menu! Only one downside; $1.00 charge for a small dish of salsa! The restaurant itself was beautiful. The ambience, the fireplace, we were very excited when we first walked in the door. We got seated directly next to the fireplace, and with the blizzard outside, was a welcome touch. Unfortunately, it took 10 minutes to have anyone even bring us a water, and another five minutes before somebody noticed that we hadn’t ordered drinks. It was “National Margarita Day,” the entire reason we picked this restaurant, was the free margs they provided. Don’t offer a free drink if it’s not going to have any tequila in it. Weak, watered down, and not impressive. My husbands second drink, which he paid for, was much better. Also, they do not provide you with complimentary chips and salsa, which in my opinion, should be a staple. Seven dollars for a trio of salsas and chips, is not worth it. We ordered the appetizer of tempura battered shrimp, which cost $11, and they were soggy, and the sauce it was served with was nothing special. My husband and I each ordered a burrito, which were the only reasonably priced items on the menu. I ordered a chili relleño burrito, which was covered in a tomatoey, spaghetti like sauce, and topped with too many peas. The filling had more peas and rice, and very little cheese and “chili rellaño.” My husband’s burrito was a little better, he got the Carné Asada and shrimp burrito which was covered in a delightful green sauce. His was much better, he enjoyed it, but overall, for the price, the entire meal was not worth it. We will not be returning. We have been to this restaurant before and were looking forward to celebrating a birthday. While we were greeted with "Happy Birthday", everything went downhill from there. The drinks were not served as requested, and the food was unusually salty. Even the signature dish arrived without the customary sides (rice and beans), and when asked for them no apology was offered. Very disappointed, and we don't know if we will go back. Love going to this place. Spacious place friendly service good food and drinks. Kids really enjoyed their carne asada burritos (they got adult ones and took half home). Chicken en mole was a bit overdone, but not inedible. The sauce was very nice. Enchiladas were good. Everyone was happy and service was good. Margaritas were strangely not strong. The ginger one didn't taste much of ginger. The one with cucumber and jalapeno was very tasty. We love Red Agave. My husband says it is the best Mexican food he has ever had. We have experienced such professional service even when we come in half an hour before closing due to our late flight! We will always try to make this our evening meal coming in to the Boulder area!!! Food is uninspiring unfortunately - raw cabbage on the shrimp tacos. Servers need some training; lots of order and check mistakes. Could be a great place with some training, processes and more creative menu. Place is super! Our server was fantastic and gave great recommendations. Great beer. Lovely ambiance. We were late for our reservation. We had a group of 7. They were still able to accommodate us after moving a few tables around. The service was very good. The food was excellent - from the freshly made quacamole at table side to each of our dinners. My husband who is picky said that it was the best meal he had while were visiting our daughter at CU. We took our daughter and 5 friends and each enjoyed each of their meals. Ambiance was very nice. Would highly recommend this place to others. Our party of 3 adults was disappointed with most of the food. The coin margarita was decent and the table side guacamole was pretty good but the bean and cheese enchiladas were not piping hot or tasty. The chayote chilli rellonos were totally bland and tasteless. For $105 + tip we expected better and can get tastier, higher quality food in Boulder. We were told the manager was coming to talk to us but after 15 minutes had not shown up so we left. We will not be returning to this restaurant. Terrible service. Asked for more water, never got it. Asked for salsa, never got it. Asked a busboy for the check, never came. Barely saw the server. Overpriced margaritas with limited alcohol. Prices are very high for the food as served. This has been our go to Mexican restaurant for a year. Held a large family gathering here last month. Food is still good, but the place seems to be losing its energy. Maybe because Jeff, our favorite server, is not there now? Too bad. Used to eat there in it's previous iteration as Agave. Had become less than pleased, but decided to give the new group a try. Coin Marg was terrible. WAY to much agave and almost no tequila - tasted like bad lime Kool-aid. Food - The guac (the wrong item) was the best thing on the table. to be fair, it was quite good. Verde Enchiladas were filled with unseasoned, dry chicken. Spinach Enchiladas (not sure of the name on the menu) were supposed to have black beans, but had none. Carne Al Pastor - was significantly undercooked pork - red in the middle. All that came to $102 pre-tip for 3 people. There is no lack of places in Boulder where $102 USD buys you far better food. Service was excellent, server was knowledgeable about tequila, which is what attracted us to the restaurant for lunch. Many choices of tequila, with an excellent, well laid-out tequila list. loved the home made tortillas. Great food. Table side guacamole is delicious and enjoyable. Too many dishes are spicy. Seems overpriced. The other 2 people enjoyed it. I was disappointed. The fried ice cream was great! I should have just ordered that for my meal. Excellent meal with great service. Bathrooms clean. Salsa and guacamole were homemade and delicious. Great drink selections. It took forever to get our food tonight. Our server was nice but we sat and waited for over 40 minutes for our plates. It wasn’t very busy, we were maybe 1 of 3 tables at the time. We found Red Agave by accident and were so happy we did. Had the best food served by a very personable server. We really enjoyed everything!!! Super find. I really wanted this to be fabulous; it had been on my list for awhile. Should have had a clue when the place was almost empty at prime dinner hour. The menu was actually quite good, including many traditional dishes like Nogales and Poblano. We ordered salsa and chips, as there was no complementary provided. The 3 salsas were good, but expensive given most offer for “free” . We ordered tamales, and pork pastor fajitas. The fajitas promised lots of verges, including mushrooms, zucchini and standard Vegas. Didn’t find any of this, but the dish was smothered with green peppers, which I don’t care for. There were a few small pieces of pineapple, but not enough for a typical pastor. The meat was in small bites, and seemed to be prepared some time before serving. Although served in a cast iron plate, these fajitas did not have the freshly made feeling one expects from fajitas. We had dinner and a couple of drinks, and the bill came to almost $75. Way too much for what we got. The service got slow after we ordered, they said they were “slammed” with customers, but most seats were empty. This place has potential, but a long way to go! Such a delicious meal in a wonderful setting! My husband & I had not been here since they first opened many years ago and our whole group (6 adults, 2 kids) were so impressed! Wonderful margaritas to accompany an impressive meal (meals had: tamales, steak burritos, mole’ enchiladas, rellenos, steak tacos, sopapillas, etc)! We’ll definitely recommend & return! Great evening at Red Agave. Great selection of Tequila and the bar knows how to make a proper margarita. Food was authentic and very well down. Service was over the top attentive, genuine and great all night. Extremely friendly and welcoming. We will be back. Favorite Mexican restaurant. Terrific food. Good service. Jeff is the top. He was not around when we arrived, but he still saw us and spoke to us. Service was still good, just not Jeff good. Excellent tequila selection. Enchiladas and chili rellenos were our choices tonight. Brought my brother and his wife along. They also thought the food was great. 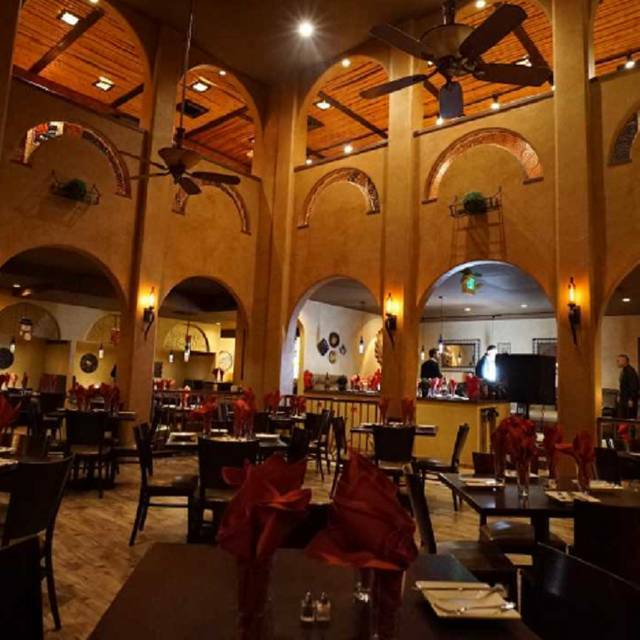 Red Agave is a neighborhood gem tucked away in an unremarkable retail strip. The molchetjos (black lava bowls) come boiling hot and filled with seafood, beef, chicken or pork, vegetables and delicious cactus. The tamales are also excellent. Our family loves this place. We love Red Agave. The food is wonderful with lots of authentic choices. The numerous tequila and mescal choices are great! I love the ancho chile & cucumber margarita. This is our favorite neighborhood spot with friendly service and great food. We take all our friends there. This is a special place. We love the vast array of tequilas available to sample but as much so, the food has been very good the 3 times we have dined here. Table side prepared fresh Guacamole, a variety of delicious tacos made fresh with homemade corn tortillas... Tasty tamales. Many other things on the menu look enticing but since we can't eat cheese or gluten I cannot comment on them. Our waiters have been very professional and knowledgable about all aspects of the food and tequilas. Very good service and friendly. We were told they have a 50% off deal on tequila every week...Wednesday or Tuesday....check it out! We don't drink more than a shot in a sitting but the discount would entice us to explore the more expensive ones.